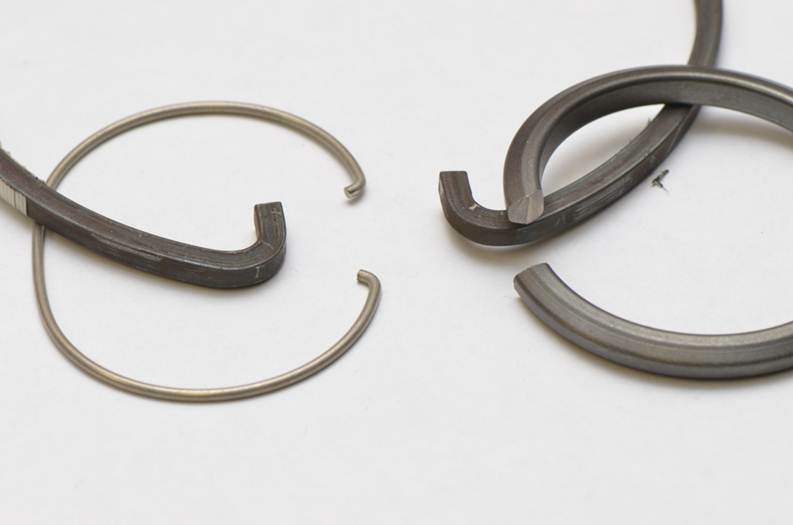 Spring Engineers produces many different industrial retaining rings, also called snap rings. We can analyze the application, and suggest designs for ease of installation and satisfactory performance. If your application has unique characteristics we can help you design a ring specifically for your product. Rings can be round wire, square wire, rectangular wire or specially shaped wire.